267, 268. Strega Nona, her story. Big Anthony, his story. | Reading Journal! 269, 270. Harold and the purple crayon. Come away from the water, Shirley. 265, 266. Baby Bear’s big dreams. Kitten’s first full moon. 267, 268. Strega Nona, her story. Big Anthony, his story. 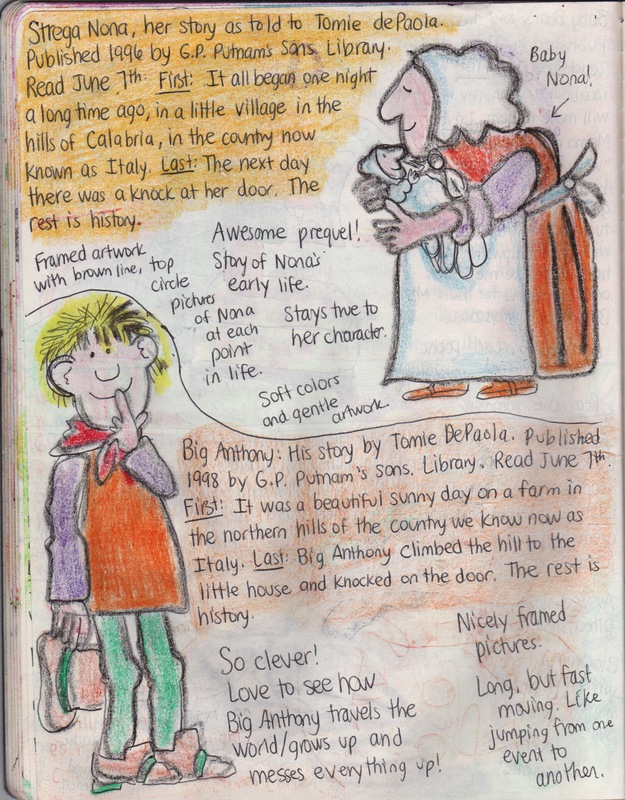 Big Anthony: His story by Tomie DePaola.